Woodworking has a long and rich place in our history. 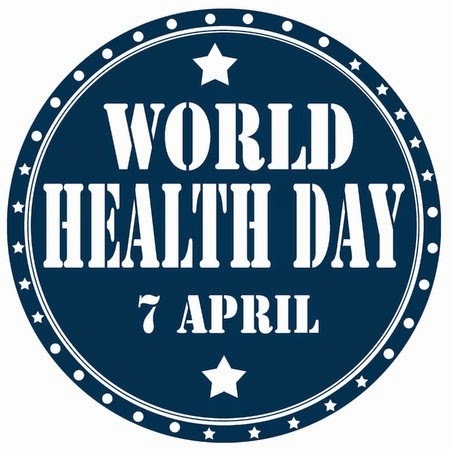 Early humans used it, along with stone, clay, and animal parts, as some of the first materials they mastered. It still remains relevant today, as many objects in our everyday life are crafted from this sturdy form. There are a myriad of ways to manipulate it, one being wood carving, which itself dates back to ancient Egypt. The Egyptian Museum in Cairo contains a statue of a man from possibly 4,000 BC, produced from sycamore. This piece is one of the first in a long tradition of carved wood art. Nowadays, artists continue to work in this timeless medium. Some, like Damiano Taurino, carve and treat the wood so that it has a smooth, cloth-like appearance. Others celebrate its jagged form and incorporate it directly into their work. 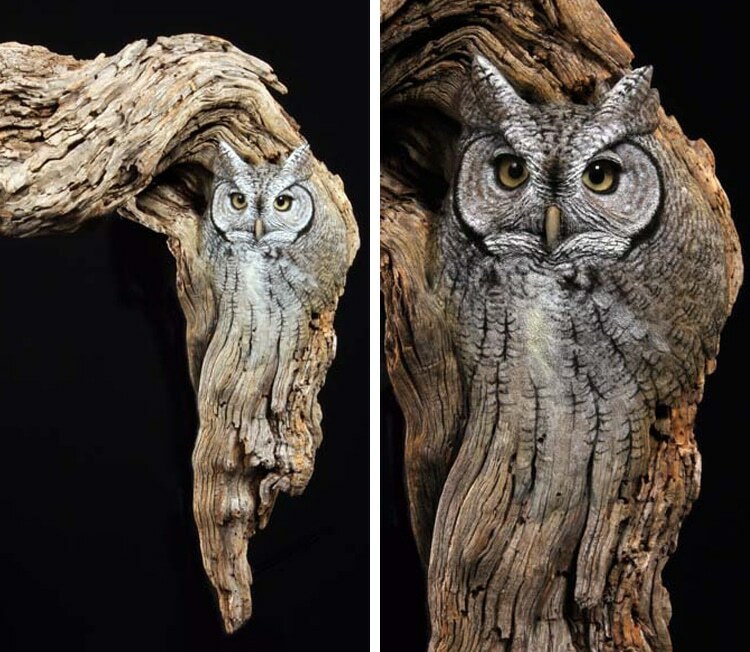 In Earl Martz’s sculpture of an owl, its face emerges from the distressed bark of a twisted branch. Although artists’ approaches vary, there remains one commonality in their works of wood art—they each transform the rigid form into something that’s beautifully unexpected. Paul Kaptein used jelutong (a Malaysian wood) to create his sculpture called and in the endless sounds there came a pause. 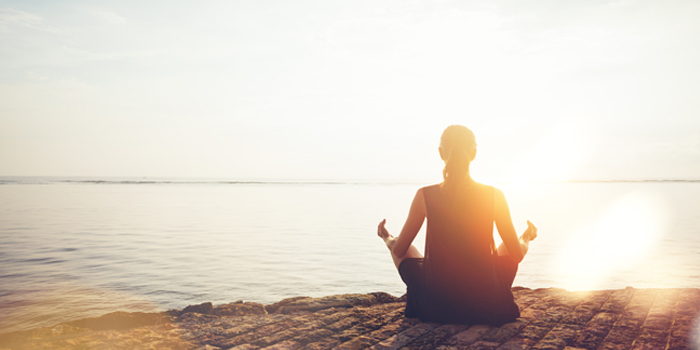 As the monk-like figure sits in a meditative pose, his body is distorted with glitch effect that reverberates from his head to his feet. Though wood can look as heavy as stone, artist Giuseppe Rumerio fashions the material into something much lighter. 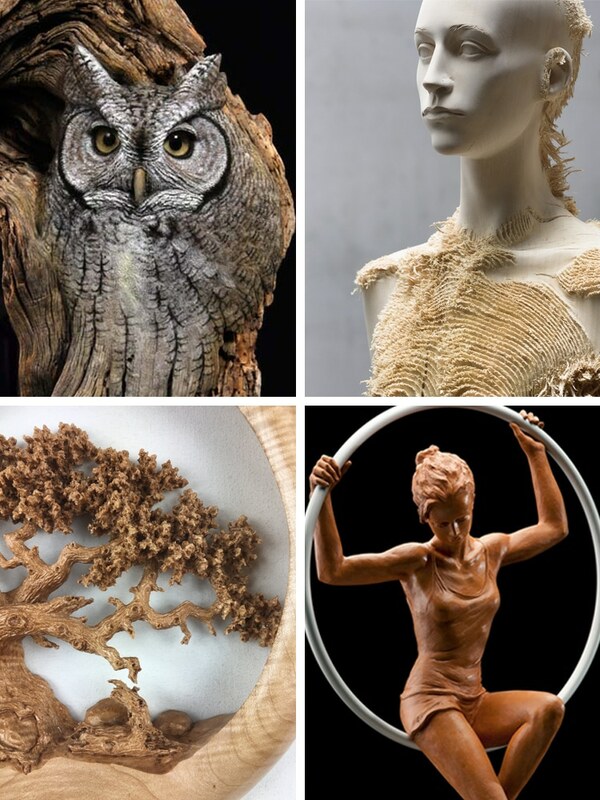 The handcrafted pieces showcase animals in their magnificent natural style. Damiano Taurino captures beauty of the human form through his figurative sculptures. This particular rendering realistically depicts every curve of the ballerina’s body, with her artistry and strength on full display. Earl Martz fuses the abstract shapes found in wood with creature-like forms. 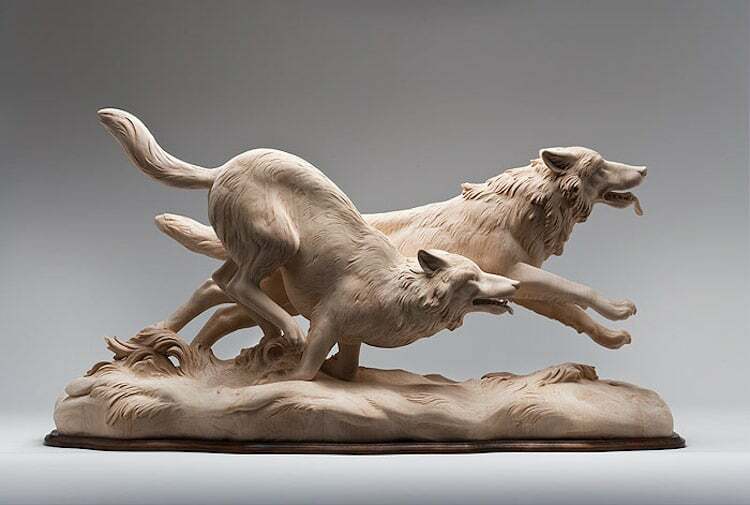 “It occurred to me that nature and animal could become one in sculpture,” he says, “the gentle twist of strong wood matching the subtle curves of a wild animal.” Sometimes, a piece of tree will sit for years before Martz decides what being will emerge from it. Deng Daohang uses archaic tools to breath life into stumps of wood. 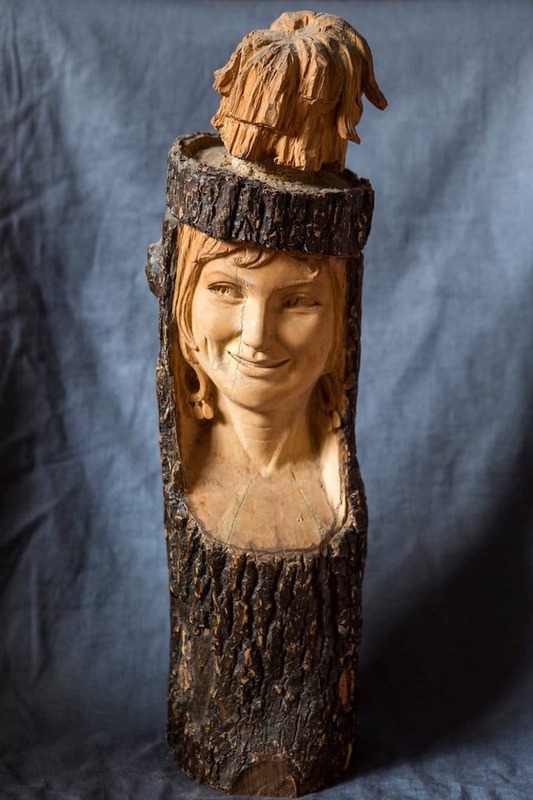 A hatchet, carving knife, and ruler are all the 78-year-old artist needs to form smooth, realistic portraits among rough patches of tree bark. Together, they’re a compelling juxtaposition of hard and soft—showing that the two can thrive when brought together. Aron Demetz plays with beauty and distress in his work. 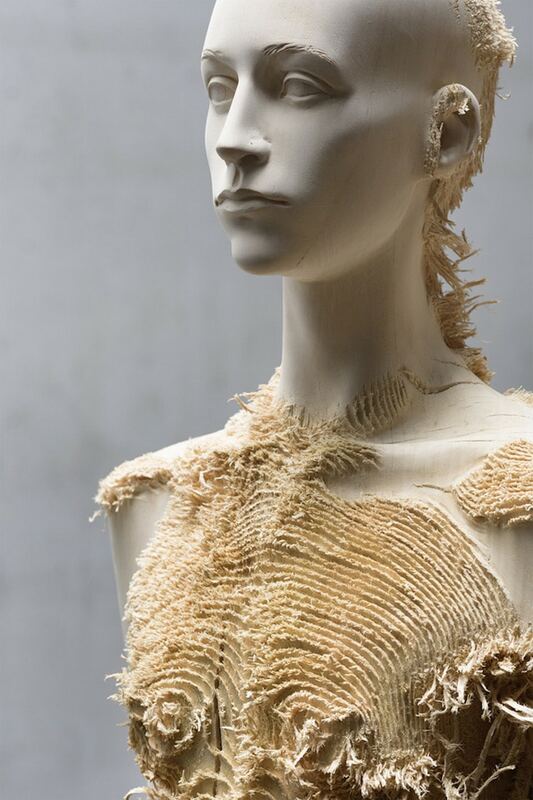 The smooth, almost mannequin-like appearance of a figure is offset with the raw fraying that comes from wood shavings. Together, they symbolize how man and nature are often at odds with one another. 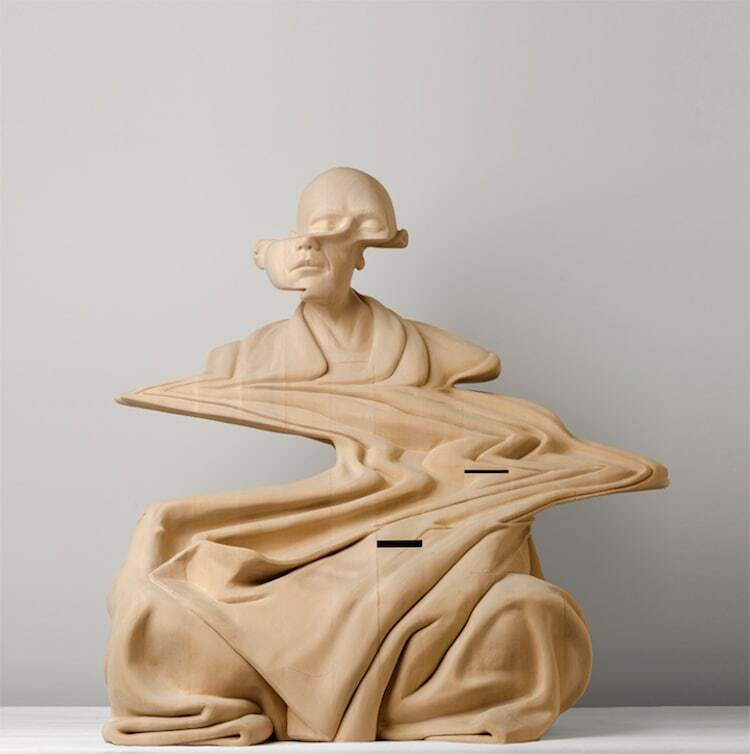 Artist Yoshitoshi Kanemaki might’ve carved this sculpture from a single block of Hinoki wood, but you can view this surreal figure in multiple ways. The face contains multiple, 360 degrees of expressions that symbolize the myriad of emotions that one person contains. 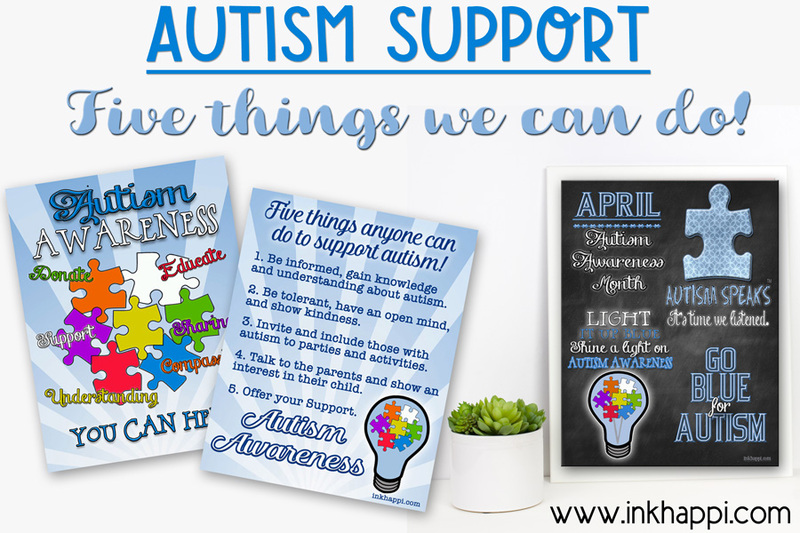 Some are readily seen while others are buried deep below and never make their way to the surface… until now. Is this a real fish? 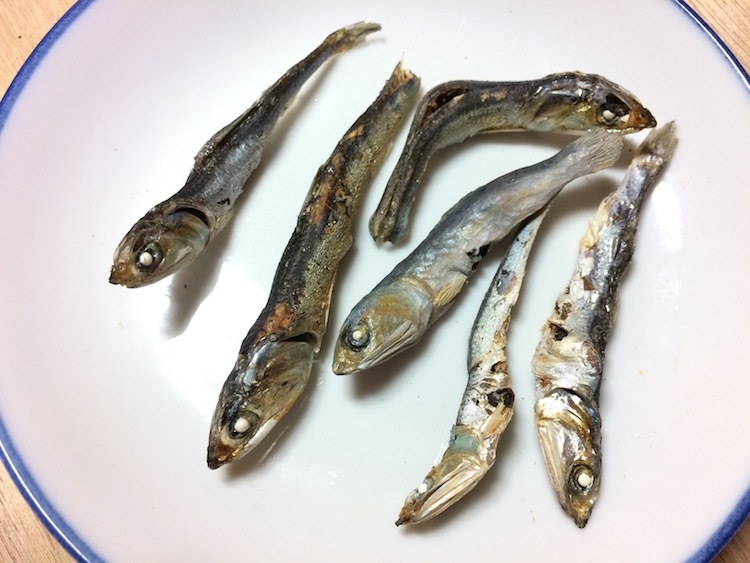 It’s hard to tell with Seiji Kawasaki’s work. Starting with a block of wood, he whittles the piece into something that looks edible. Artisan Gary “Wiz” Burns goes meta with his carvings. 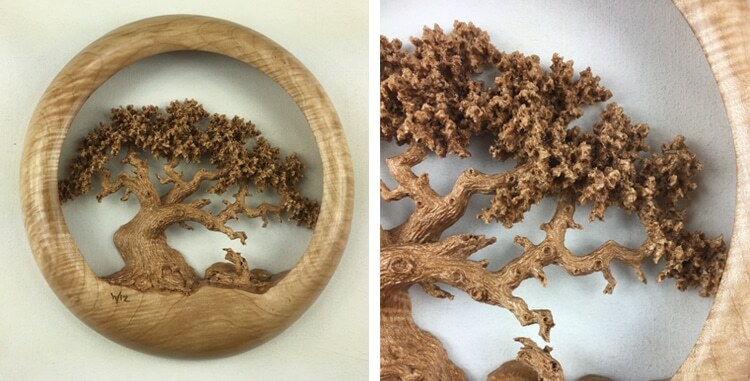 This particular piece depicts an oak tree carved from a piece of Big Leaf Maple wood. To create it, Burns uses an approach called Pierced Relief, in which the entire thing is carved out of one hunk of wood with nothing added. He sells his handiwork on Etsy. 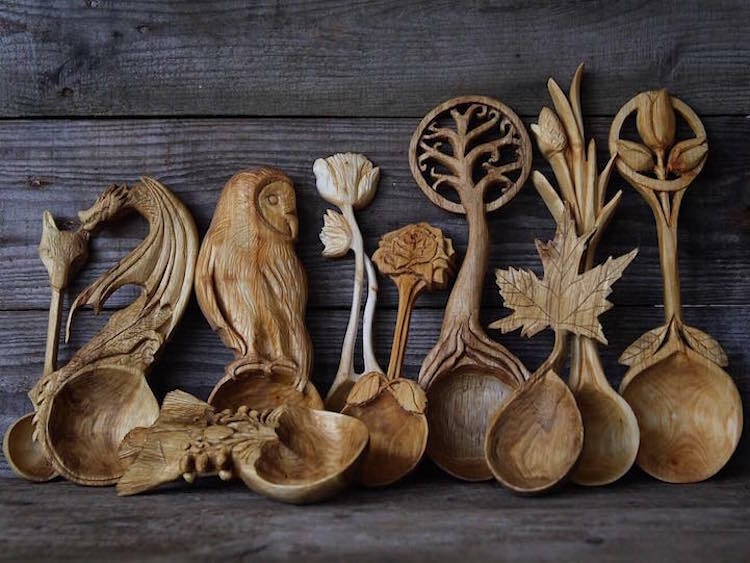 Through decorative wooden spoons, Giles Newman celebrates nature. Working with an axe, knife, and chisel, he carves beautiful blooms and exquisite beasts along each handle. Newman has treated them for food use but they’re best displayed as works of art. Like Gary Burns, his creations are available on Etsy. 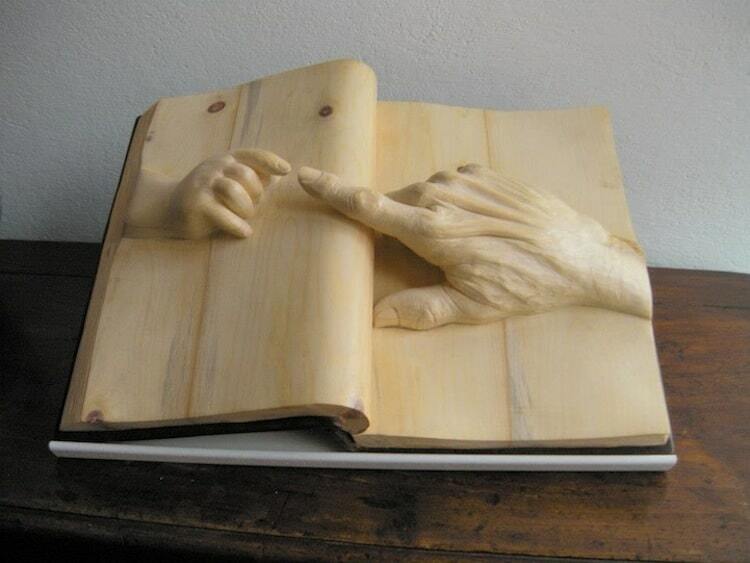 Self-taught sculptor Nino Orlandi is best known for his collection of books carved from wood. Hands emerge from the pages, reaching out towards one another as they escape the confine of the spreads. 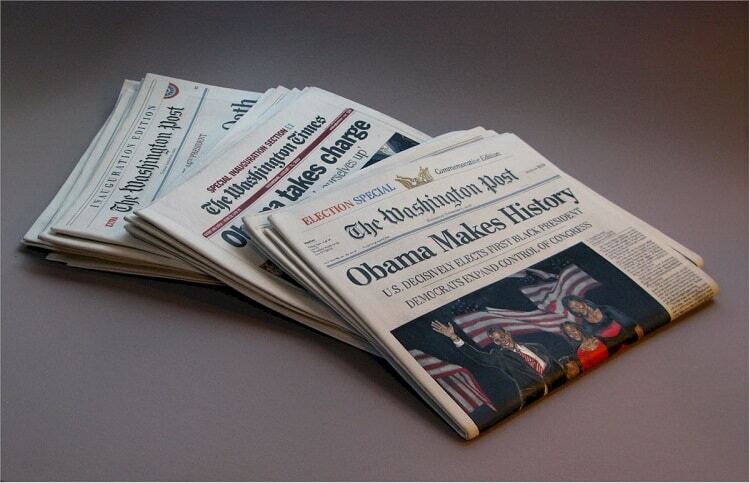 Like Seiji Kawasaki’s carvings, it’s hard to tell if Randall Rosenthal’s work is real. He too transforms a single block of wood into hyperrealistic sculpture depicting everyday objects. 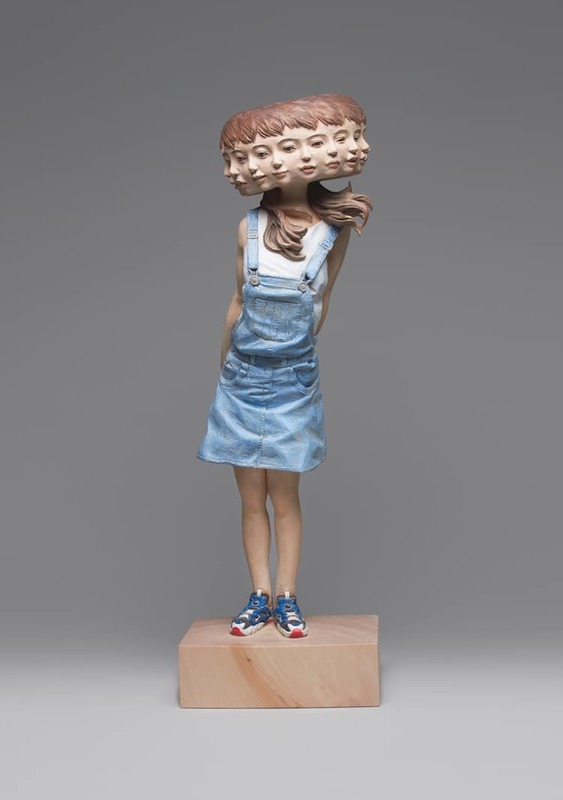 After the pieces are meticulously carved, Rosenthal paints them to further the illusion. 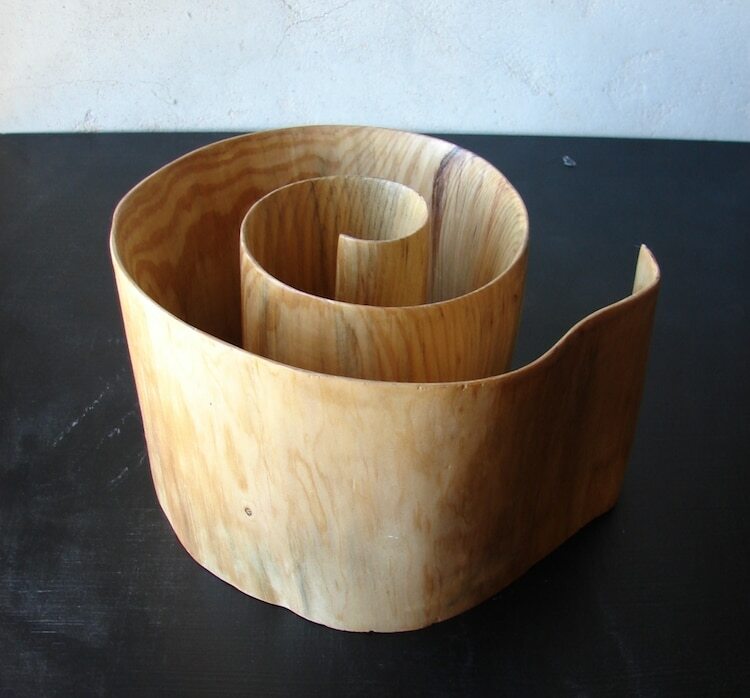 Xavier Puente Vilardell has produced an abstract shapes that makes wood look like a thin ribbon. As this piece gracefully curls, it looks so delicate that the wind would blow it away. 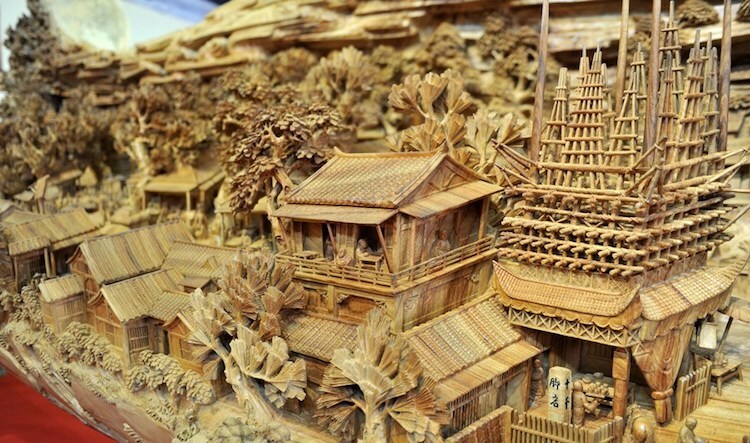 Dongyang wood carving is a Chinese art that’s been around since the Tang Dynasty (beginning in the 7th century). The elegant, detailed creations—also called white woodcarving—feature multiple layers that form these mural-like compositions. 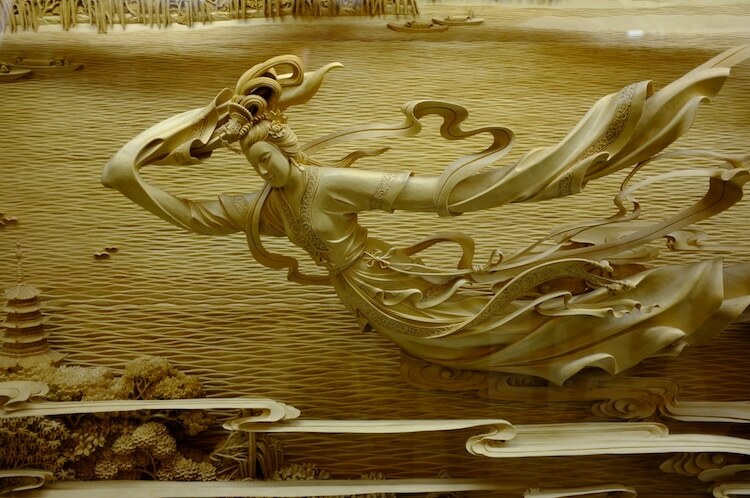 It took Chinese artist Zheng Chunhui four years to carve this large wooden sculpture that measures 40 feet long. When he finished this impressive work—carved from a single tree—the Guinness World Records declared it the longest continuous wooden sculpture in the world.